Cerro La Llana , 23711 Baños de la Encina, Spanien. 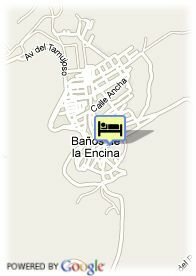 Hotel Restaurante Banos is a 3 stars rural hotel, located in Baños de la Encina. 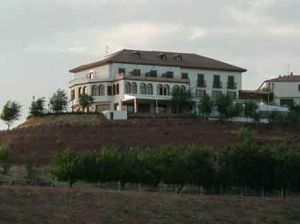 It has a lovely views to Guadalquivir Valley, The Milenium Castle of Bury Al-Hamma and Sierra Morena. The hotel offers 20 rooms with telephone, TV, air conditioning, music. The hotel has a restaurant, bar, lounges and full of activities: rappel, quad(only for groups).